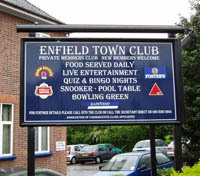 Welcome to the official website of the Enfield Town Club. 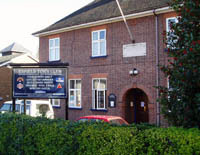 This private members club was founded in 1890 and in 1895 was enrolled into the Association of Conservative Clubs to which it is still affiliated. The club provides for people with common interests to come together in a friendly, safe and relaxing environment. It is open all day every day and is centrally located with parking facilities. The club premises, situated in Old Park Avenue, Enfield, are but a couple of minutes walk from the hustle and bustle of Enfield Town Centre. The club has been maintained to the highest standards over the years and is able to offer superb facilities. 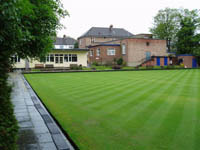 These include our own bowling green, an impressive snooker room with match quality tables, comfortable lounge and well stocked bar, excellent dining room and also a small private members lounge. In addition our first floor meeting room is now available for hire to outside concerns - pre-booked refreshments are of course available throughout the day so ensuring that seminars and training courses can run smoothly and with the minimum of fuss or downtime. We have vacancies for part-time bar staff.